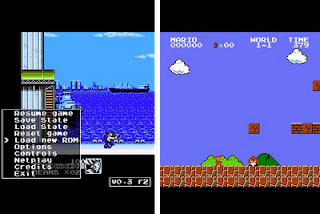 gpfce is a port of FCE Ultra, an open-source, portable NES/Famicom emulator based on Bero's FCE source code. This is an optimized port (includes asm CPU core), what allows it to run many games fullspeed while underclocked. It is a nearly full-featured port, which means that most features of the original are there. There is support for a wide variety of in-cart expansion hardware ("mappers"), the Famicom Disk System is emulated, several VS Unisystem games are supported well. A NSF player is built in. Will be an update for this great program? Excellent emulator. Thanks for the port to Symbian. Will be updated? Support more mappers? Ok, new version released ! i can't play in portrait mode, game genie don't work. Could you port GPFCE to Nokia Belle?